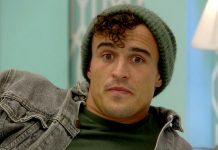 Big Brother 2017: Clip released by Channel 5 reveals some housemates! Channel 5 have released a clip of some of the housemates entering Big Brother 2017. Big Brother returns to Channel 5 on the 5th June, in the lead up to the new series Channel 5 have released a teaser which shows some of the housemates that’ll be entering the famous house. Big Brother presents a must-watch culture clash of modern Britain on the 5th June. At a time of political upheaval and tough questions about unity in the UK, Big Brother will show viewers an alternative look at Britain. 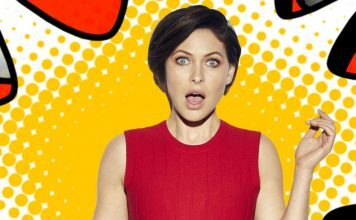 Presenter Emma Willis will host the grand live launch which will see the highly anticipated selection of housemates enter the iconic house. Big Brother all set with a whole new series of tasks, twists and surprises to bond, divide and entertain the housemates and viewers alike. Channel 5 have described the new series as an ‘ultimate social experiment’ that will see contrasts, conflicts and collaboration, and more fireworks than you could imagine, ‘as a selection of people, from a range of backgrounds, come together’. The theme for this year’s BBUK is ‘The United Kingdom of Big Brother’. Big Brother returns 5th June on Channel 5 at 8:30pm.